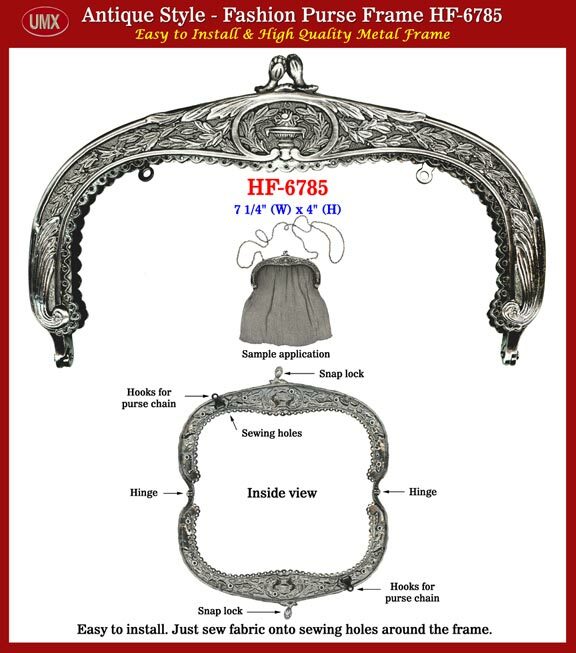 This is a high quality antique style purse frame, an easy to install purse frame series. It comes with sewing-hole around the frame and with hooks for fashion handbag chain. Optional antique silver chain.